St. Patricks Day is coming up on March 17th another excuse to let crazy-you out. We will celebrate Paddy’s day by joining the party at Joseph Richards, one of the hottest clubs in Vancouver. Saint Patrick is the patron saint and national apostle of Ireland, he brought the christianity to Ireland. And that’s a reason to celebrate. The Shamrock is ‘the sign’ of Ireland and St. Patricks day, because Saint Patrick used the Shamrock to explain the Holy Trinity to the pagans. Paddys day is every year on March 17th, because that is the day he died and to honor him the Irish folks celebrate him. And if you missed it, green is the color to wear on that day. If you want to join us for this remarkable event please buy you tickets before March 12th at our office or Pub Nights. The ticket cost $10 and includes the entrance fee and one free green beer. The dress code for this Party is of course green. 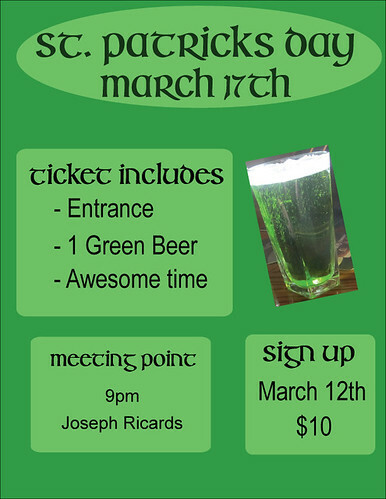 We will meet at 9pm in front of the Joseph Richards were will give you your ticket and will than all go in and have our first green beer together. How is everyone feeling today? Last night we had our weekly PuB NiGHT again. 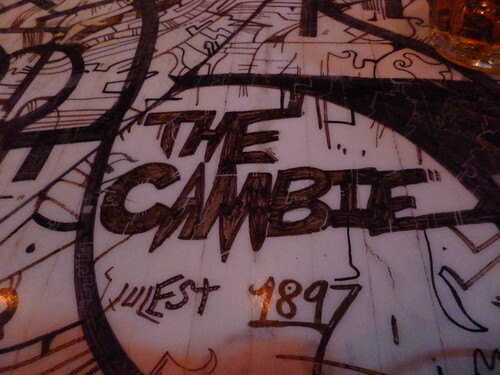 We started off at the Cambie with some drinks and really cheap pitchers for only $9! The PR-crew arranged two big tables, so that everyone had a spot in the pub. Candidates from all over the world were chatting, mingling and having a good time with each other. Around 9ish more and more candidates were joining us, so in no time the reserved table was already too small for our big group! Because one of the INTERNeX candidates, Pascal, celebrated his birthday in the Joseph Richards, we decided to go as a group to the JR and party on! In the JR everyone was dancing and we even had some dance battles going on! For all the picture of last night, go to our Flickr page! We would like to apologize to some of the candidates, because the Cambie wouldn’t let all of us in. They have really strict rules about ID-cards (they HAVE to be in English), and therefore some of our INTERNeX candidates weren’t allowed in! We tried to talk to the manager about this, but it didn’t help. So, our apologies to those who couldn’t get in. We will make sure this won’t happen again. 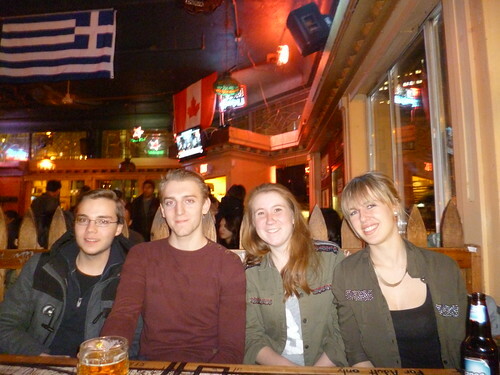 We hope everyone enjoyed the Wednesday night PuB NiGHT once again! Thanks for coming and we will see you next Wednesday!! This week’s INTERNeX PuB NiGHT will be the last for this year and again will take place at the night club. Joseph Richards on Granville 1082! That’s why all of you should come, join us and have a few beers together! PINTS AND SHOTS 3 BUCKS! and for sure a lot of good music and many nice people from all over the world! Me and Elvera will be there at 8 pm. The latest you can come in is 11 pm. You can pick up the tickets at the INTERNeX office until 6 pm on Wednesday. In case you can’t make it give me (George: 604 440 2726) a call on Wednesday night and I will come out and give you the tickets in front of the door!! See ya on Wednesday then! 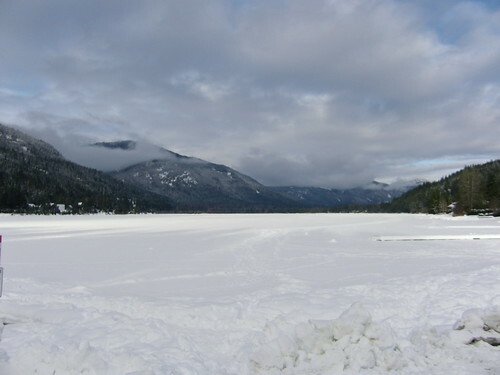 The weekend trip to whistler was amazing! 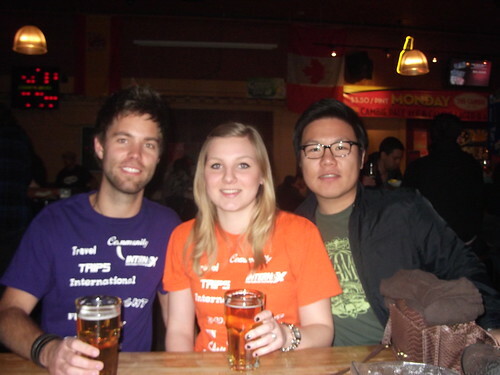 Last weekend some INTERNeX candidates and I went to Whistler with our friends from West Trek! It was a crazy weekend! On Saturday we went skiing and snowboarding and after that we relaxed in the hot tub and swimming pool, this was certainly one of the highlights! We ordered some pizza’s (which eventually turned out to be $140!) and went to the club. We had a great time! The second day we did some sightseeing and went to the lake. To finish this great trip we had lunch at the Old Spaghetti Factory. Thanks to everyone who joined this trip and made it to a success! I say, a little reunion this Wednesday at Joseph Richard (PuB NiGHT!) and for those who unfortunately missed this trip, I will be happy to tell you everything about it this Wednesday! Just to make sure you will not miss an amazing party. Tonight is the weekly famous INTERNeX PuB NiGHT at Joseph Richard (1082 Granville Street, Vancouver)! The fun begins around 8 p.m. The latest you can get in is at 10 p.m. Our friends from West Trek will be joining us as well and you get the opportunity to meet a lot of other INTERNeX candidates! There will be FREE entrance & 2 FREE drinks! You can get the FREE tickets at the INTERNeX office today till 6 p.m.
and he will come outside and give you the free ticket then. Because the INTERNeX PuB NiGHT last week was so much fun, George and I (Elvera) decided to party again at Joseph Richard (1082 Granville Street, Vancouver) this Wednesday! The fun begins aroun 8 p.m. The latest you can get in is at 10 p.m.
Meet other INTERNeX candidates at this weekly famous PuB NiGHT. You can get the FREE tickets at the INTERNeX office until Wednesday 6 p.m. or at the Staffhouse. Our friends from West trek will be joining us as well. You get the chance to meet a lot of new people! Hope to see you all this Wednesday!